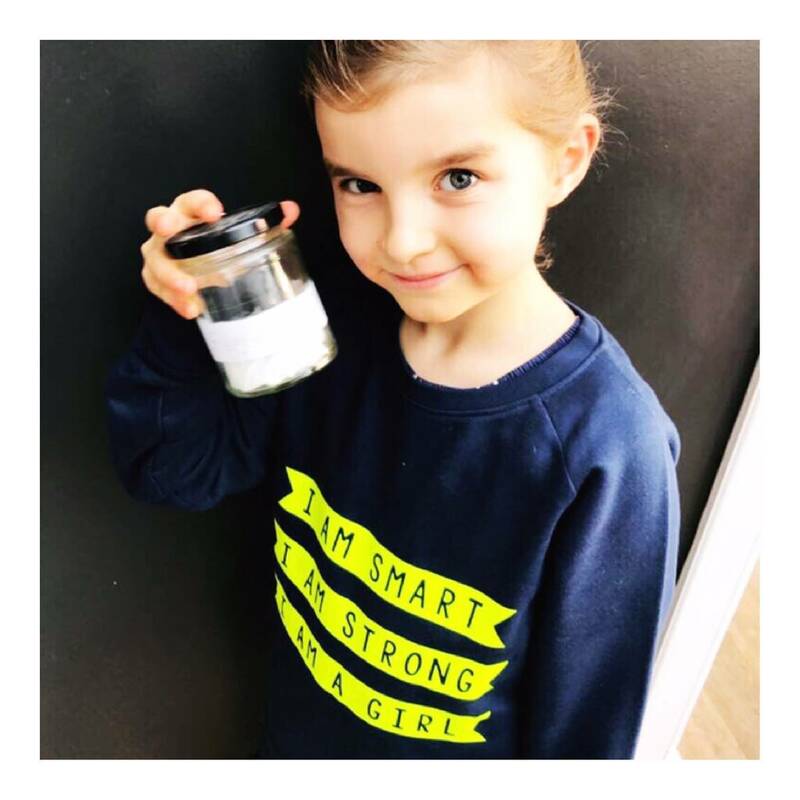 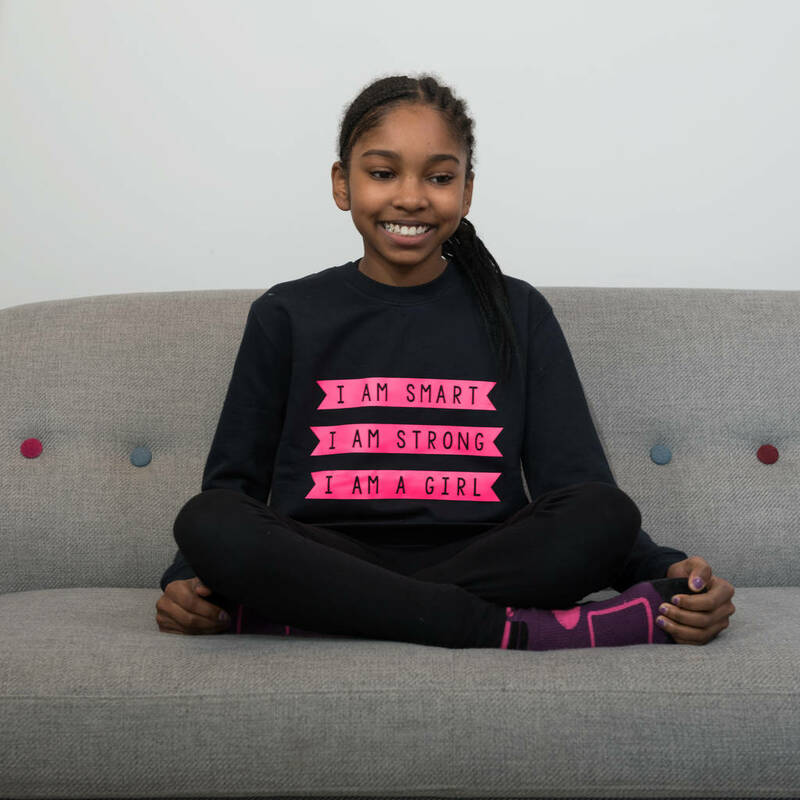 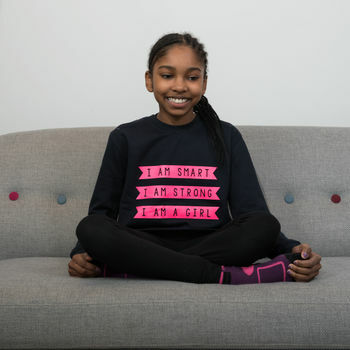 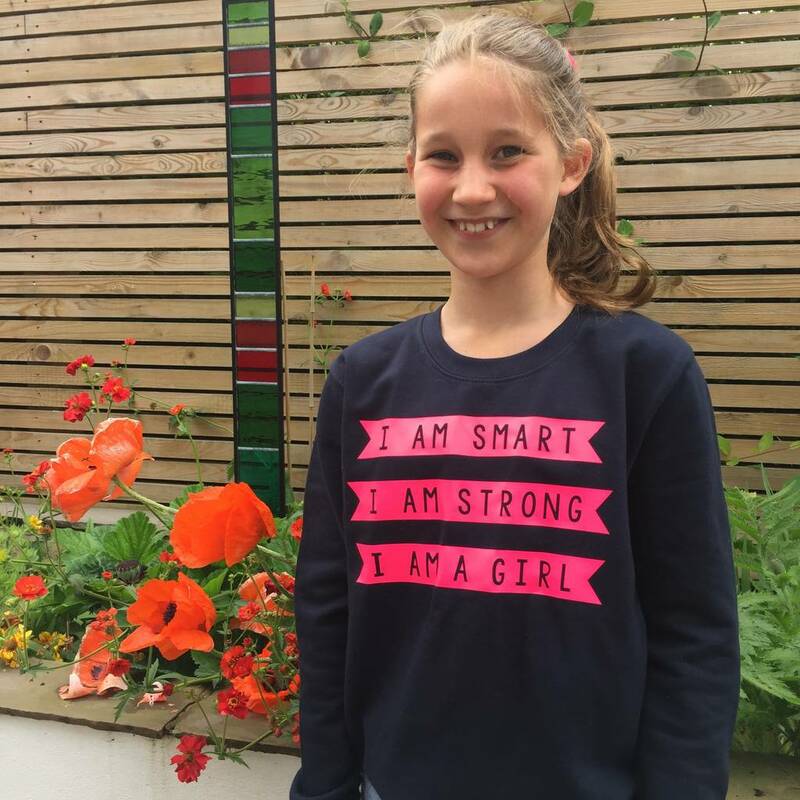 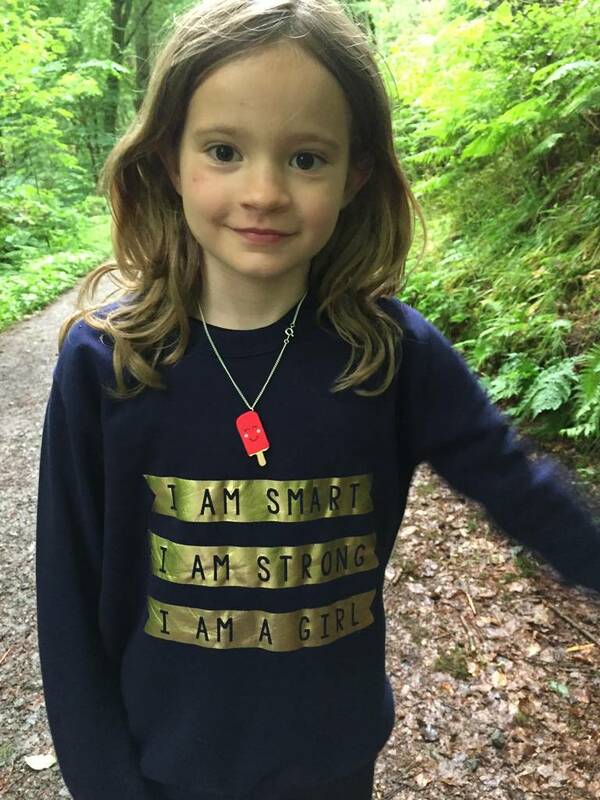 A brilliant range of kids sweatshirts with empowering messages featured on them to help give a strong and positive message for girls. 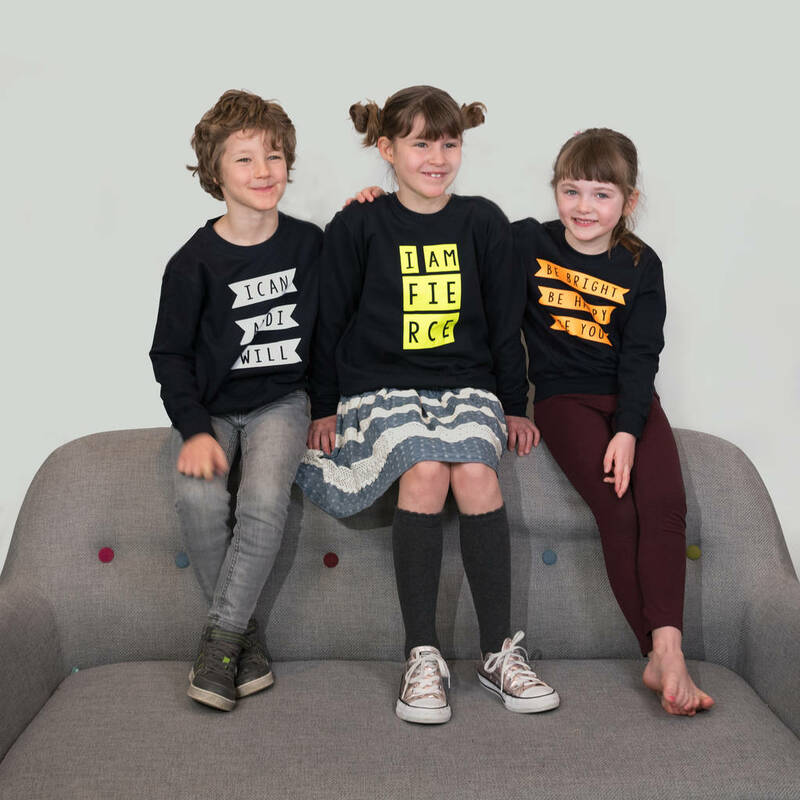 Scamp's new 'Mighty' children's sweatshirt range are french navy with an empowering quote printed in gold or neons on it. 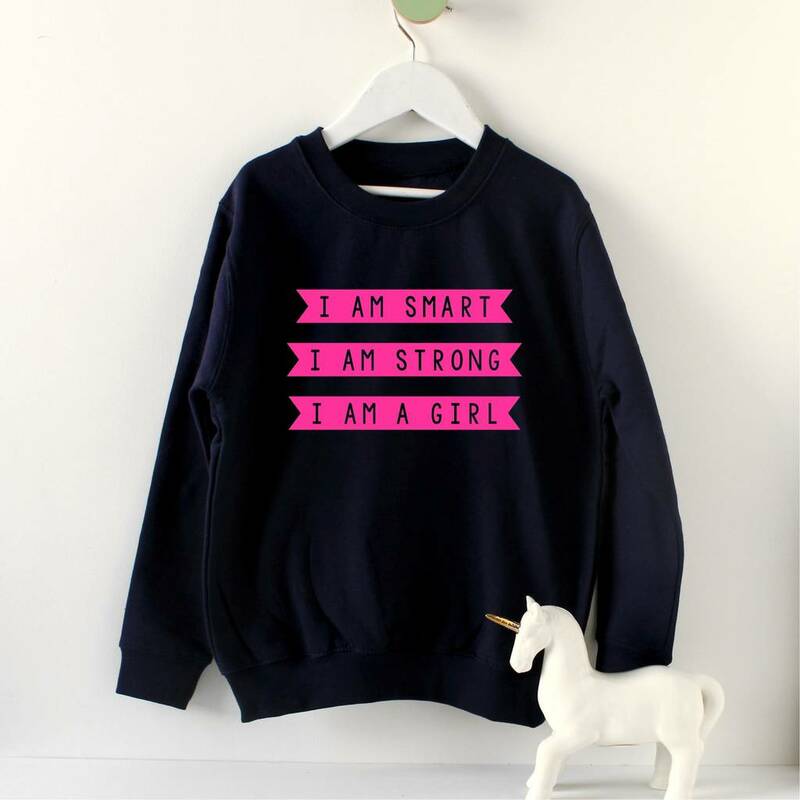 This one is particularly directed towards girls to give them a sense of pride and empowerment in who they are.